Bars, restaurants, and hotels have a duty to protect their customers from reasonably foreseeable injuries. There are times when customers are injured due to a dangerous condition on a business owner’s property. Other times, a customer may be injured as the result of an assault or criminal activity while on a business owner’s property. The attorneys at M. Blake Heath, Trial Attorney LLC can help pursue claims against business owners if they fail to take adequate steps to protect their customers. The attorneys at M. Blake Heath, Trial Attorney LLC handle cases against bars, restaurants, and hotels where the failure to properly train and supervise staff or the failure to have adequate safety policies leads to injuries to a customer or employee. 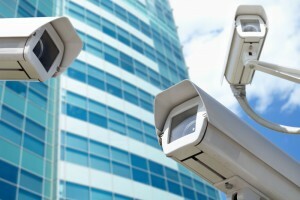 Negligent security cases require an attorney that understands the issues presented and can identify potential pitfalls. For instance, it will be important to determine whether the attacker was an employee, like a bouncer at a bar, or an unknown third party. Additionally, these cases oftentimes require a thorough investigation of past crimes in and around a business to illustrate the potential attack was foreseeable. Also, a business’s written policies and procedures, or the lack thereof, will need to be analyzed in order to determine additional steps that could have been taken to prevent an injury. The proven track record of M. Blake Heath, Trial Attorney LLC in negligent security cases illustrates that we know how to navigate the issues and get results. Please contact the attorneys at M. Blake Heath, Trial Attorney LLC if you have been injured while at a bar, restaurant, or hotel by security personnel or a third party. We can review your case and help determine if a claim may exist. Blake Heath, Trial Attorney LLC is a small Kansas City firm focusing on personal injury, such as semi truck accidents, catastrophic personal injury, and insurance bad faith. We are client-centered and responsive to their needs. Our attention to our clients and willingness to pursue avenues that other attorneys have missed has resulted in multiple six and seven figure verdicts and settlements. In addition, our peers have recognized our contribution to the legal community with many awards and professional offices.